What do I mean by maximizing your mind power? It means getting your conscious mind into your inner "driver's seat" in order to reach your goals and live the life you love, instead of letting your subconscious make choices for your life out of fear, anger, and traumas from the past. It's easy to fall into "automatic pilot" as you go through the day, being reactive to life's events and allowing your subconscious insecurities frame your experience. Negativity can create psychological blocks within the subconscious mind that hinder our progress in life. This distracts you from your life's purpose rather than moving you towards it. This is when your conscious mind needs to take charge, grab hold of the reins, and consciously choose your perspective on the day's events rather than reacting to them through the lens of your subconscious fears. We are bombarded with many negative messages in the news and various media, it's easy to develop a default attitude of looking on the down side of things without even realizing it. For some reason, it's so easy for us to use our imaginations to consider the worst-case scenarios for future events. And it takes conscious effort to instead use that same imagination to visualize the best outcome for ourselves. Why is this? A negative attitude doesn't have to have some deep psychological reason behind it. It can really boil down to just being a bad habit, and it is possible to break that habit thankfully. Even if you've had periods in your life when you've been very clearly focused, you can still get thrown off balance by unforeseen events. So there's no harm in reassessing yourself. Are you the captain of your own ship? There are many tools available that can help you take charge, break bad habits, clear mental blocks, and "reprogram" your mind to be a more positive force in your life. Some obvious things you can do include being more selective about what sensations, thoughts, or ideas you “input” into your mind. For example, if you’re glued to the TV a lot, watching tense or violent shows, even watching too many news or political commentary shows, that can certainly keep your mind in a sort of default negative mood. And listening to frenetic jazz or rock music can obviously be much more agitating than calm, harmonious music. There are certain types of stimuli that can elevate your mental outlook by actually changing your brainwaves. This is called brainwave entrainment, and although it sounds scientific, it actually occurs naturally. Imagine being mesmerized by the flicker of a candlelight in a dark room, an example of visual entrainment; or by the rhythmic sound of the ocean waves, an example of audio entrainment. Even just listening to relaxing music can put you in a relaxed, alpha state. Binaural beats are sometimes added to audio tracks of relaxing music; they enhance the mind's connectivity between the right and left hemispheres. I've successfully used self-hypnosis downloads to help me utilize the power of my mind to improve my life. Relaxation is definitely the foundation of utilizing your mind to the fullest, and self-hypnosis is a great tool for that, but I've also used tracks that specifically help with mental clarity, focus, creativity, procrastination, and most importantly a huge phobia I've had for years—the fear of flying, (which I am now totally cured of, by the way.) 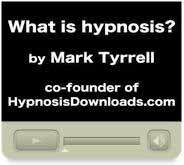 It's such a powerful tool and has helped me improve my life so much that I would go so far as to say hypnosis has helped me heal in many ways. 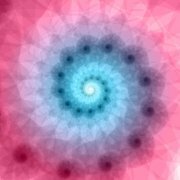 Here is a great article explaining how hypnosis can increase your self-confidence, which can then benefit you in every other area of your life. I have personally found self-hypnosis to be the most powerful tool I've used for changing a deep-seated fear or negative belief.